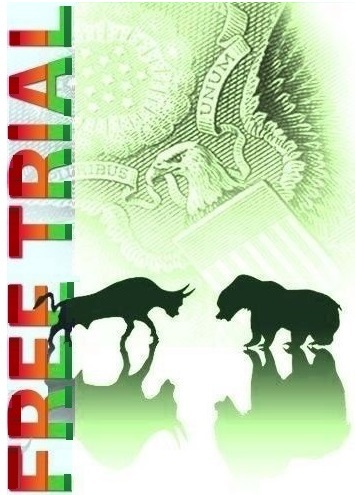 Why say No to FREE TRIAL in Stock Market? One of my friend Madhavi while taking her younger brother Aaryan to school every day, teaches him not to take anything especially eatables from unknown or even known people. She says that she is certainly possessive about Aaryan however her aim is to make him understand that nothing comes for free and there is a hidden risk along with Free-bees. We all do this ‘Pravachan’ (prophecy) with our kids and don’t allow them to take anything for Free however on the contrary we don’t follow the same rule in our dealings. Madhavi conveys a simple but very-2 strong message that Free things always come with bigger hidden risks and one should learn to earn even the smallest share. This message also goes to those who want to make big in stock market however losing hell lot of money. Today out of almost 3000 Stock trading related firms, more than 2500 are providing Free Trials or a Sample Call to every individual. Many of them flash the same thing on their website, use it as a marketing tool, keep sending you messages informing the same, etc. In fact I should say that most of the advisory firms are enticing the people to take free trial. What we are talking today is indeed “The mother of all malpractices in Finance industry” and that is “The Trap of Free Trials or Sample calls”. Now, most of you would say that what’s wrong with it? In fact, it is good for you, you get to see a ‘sample’ trading advice about the research/trading calls/tips of the company and thus check them for accuracy, whether they are good or not. You get a risk-free (since you are not paying anything initially) advise and check their pattern/style of Trade Calls. In fact many of retail traders on call/ via email have suggested us that Niftymillionaire should change policies of ‘No-Free-Trial’ advisory and start providing Trials like other advisory websites/companies. It will boost our business unimaginably. Let me first discuss how these firms strategize this Trial Trap for you and then you can think about it yourself. Lead Generation Objective: Reading/Seeing Free Trial, lots of people don’t find it harmful to check upon the offer once as they don’t have to give any money. Once the maximum lead generation takes place they use them 2 different ways – Firstly sell leads to other firms and also few of them join us after falling for the trap. Also a simple logic is that a firm which is solely focused on lead generation means revenue maximisation clearly indicates that customer service and thinking about your money has not to come in the picture. Can’t focus on old people: When a company is getting enough new members due to Free advisory service system why they will focus on Customer retention. Since they are OK with the failure of customer renewal so they would not be focusing on the old customers. No office/no advisers/operating from home or a shop: Most websites do not have actual business firm or offices and not even analysts. They are only a way to get data, to generate leads for free trials on whom then they can operate the ’50-50 BUY-SELL’ trick. 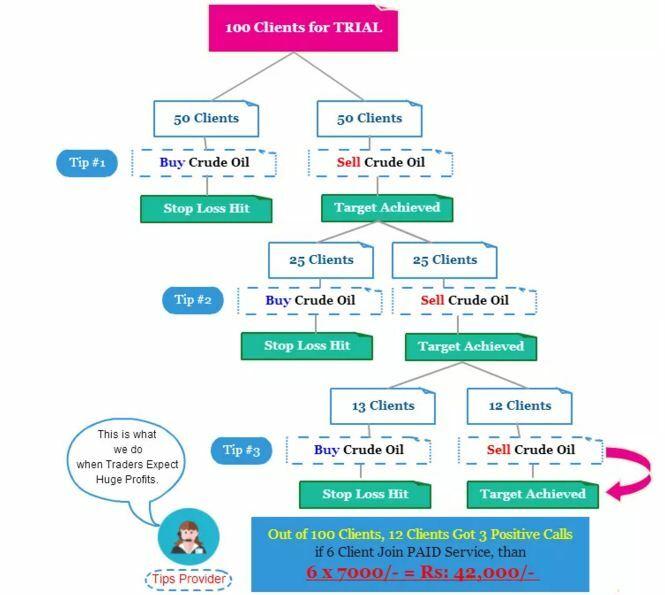 Same fraud firm comes with a different name: Suppose ABC STOCKS has a 100 traders data and it has used them by calling and offering service and free trials and extracted all juice out of it by applying all tricks to get money from these 100 people, then its sister operator XYZ STOCKS (most of the time run at same place, buy same guys, only with different name, and phone numbers) will start using it and approach those 100 people to take their advice, if any of them still have left money to trade after dealing with the ABC STOCKS!! There might be some other ways too through which many firms must be leveraging your greed factor to generate revenue for them. The above points will now help you to analyse the upcoming circumstances related to a Trap of Free Trial. As I said it’s your greed which they target so you need to control it. Mahatma Gandhi has also said, “Earth provides enough to satisfy every man’s needs, but not every man’s greed”. Greed always keeps multiplying and at the end it even fails the greedy. Did u come in the market to lose? No, not at all then why are you not coming out of your greed? In case if you lose some money initially (which is good for the trader that he loses in the beginning of the career) treat it as the fee to learn about the market. If you are losing time and again, it means you are not trying to learn anything from your mistakes. You are just gambling. Don’t gamble. It’s your hard earned money. Don’t fall for any such trap. Have a vision to move slow and steady. Accept the realities of the market, work on your weaknesses, improve psychology and trading behaviour and create unlimited wealth from the market. Why a Trader in Stock market make losses?